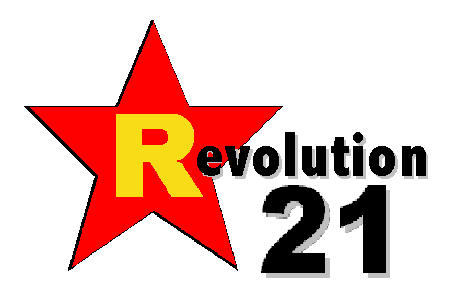 Revolution 21's Blog for the People: Calling Sally Struthers. . . .
All Obama's horses and all BP's men can't put a good shrimp po-boy back together again. This nursery rhyme from the oily bowels of hell represents yet another face of the BPocalypse, another glimpse into a culture and a people being murdered as surely as greed corrupts . . . and corporate greed corrupts absolutely. When Tony Hayward and the feds are done with south Louisiana, I wonder whether Sally Struthers will trek down there to make Cajun Children's Fund ads with starving bayou babies? Vicki Guillot has served her last seafood po-boy. The local bounty of fresh shrimp and oysters that once kept the only restaurant in this rural Louisiana town bustling can no longer be culled from the Gulf of Mexico because of the massive oil spill that has fouled the water. All her distributors can offer her now is imported shrimp at twice the price she was paying 10 weeks ago before an oil rig explosion triggered the disaster that has dumped millions of gallons of crude off the Gulf Coast. "The last price I got from him was for imported shrimp, and I said, 'No thank you,'" Guillot said Thursday. "Our waters are all around here, our boys fished all the time. To buy imported?" Then, she shook her head from side to side as she broke down in tears in the kitchen of Debbie's Cafe. 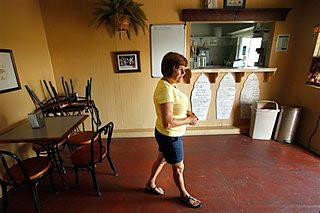 Guillot, 49, had to close the restaurant for good Tuesday after just six months in business.